The Shima Imperium verges on collapse. Land and sky have been poisoned by clockwork industrialisation, the Lotus Guild oppresses the populace and the nation's Shogun is lost to his thirst for power. 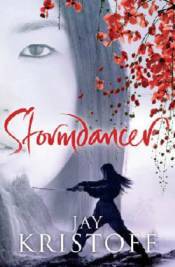 Yukiko and her warrior father are forced to hunt down a griffin at the Shogun's command. But any fool knows griffins are extinct � and death will be the price of failure. Disaster strikes and Yukiko is stranded in the wilderness with a fabled griffin, now furious and crippled. Although she hears his thoughts and saved his life, Yukiko knows he'd rather see her dead than help her. And discovery of the talent allowing them to communicate would mean her execution. Yet together, the pair will form an indomitable bond, and rise to challenge an empire.